Here at Somerville Hotel we offer relaxed dining with a family friendly atmosphere. Our menu has something for everyone featuring delicious Graziers steaks along with your favourite pub fare. Our great value seniors menu is sure to please, plus we also feature a fun kids menu to keep the little ones happy allowing parents, kids and grandparents time to relax over a meal together. Enjoy great value dining with friendly service here at Somerville Hotel. Here at the Somerville Hotel we love kids! Being a family friendly Hotel we want everyone to enjoy their time with us. We have plenty of fun for the kids which includes a special indoor playground for the kids to enjoy. Parents and grandparents alike can relax and enjoy a meal while watching the kids play in the playground. 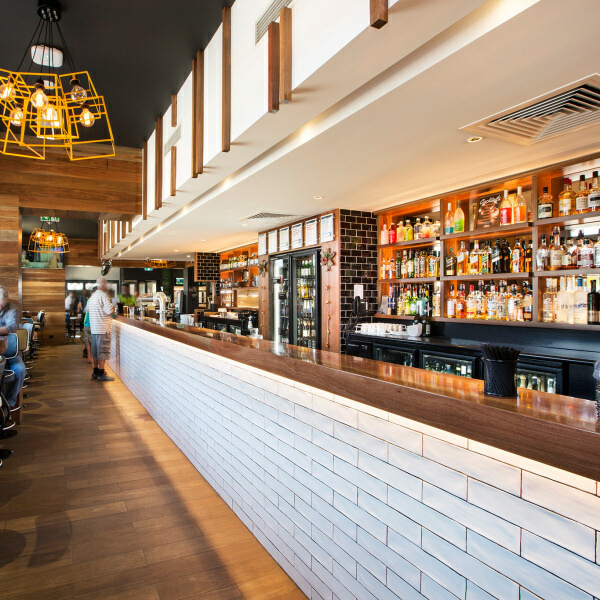 The old front bar at the Somerville Hotel has been given a makeover. Gone are the days of a dark tab, only 3 beers on tap, and air conditioning that would only work in the winter! The Somerville has had a complete refurbishment. It boasts a brand new front courtyard, complete with heaters, plants and a place to eat. Inside has seen the heritage listed back wall stripped back to its original brick, a brand new wood bar top, a lick of paint, and an industrial feel makes this new bar modern, airy and inviting. It is accompanied by a brand new TAB complete with 2 EBTs, and plenty of big screens so you can view all the racing and sports action in HD. Opening out from the TAB is a brand new undercover beer garden, ideal for gatherings big or small to enjoy a few drinks and a meal, complete with heaters and music this space is the ideal spot to ensure everyone has a good time!